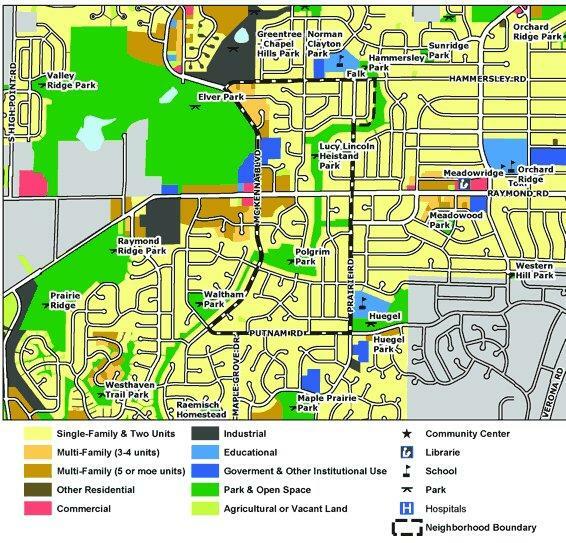 Directly west of the Meadowood Neighborhood, Prairie Hills is home to over 1200 households. This southwest Madison neighborhood borders Elver Park to the west and Prairie Road to the east. The neighborhood association has worked hard on promoting education in the neighborhood by connecting teachers and school officials with residents, as well as, creating programs at areas schools for early childhood development and harvesting healthy foods. As part of SWAN (Southwest Alliance of Neighborhoods) Prairie Hills helped create the resident bill of rights which creates a social contract to set neighborhood standards. The neighborhood acts as a great buffer between Madison, Verona, and Fitchburg with easy access to the parks and bike trails that connect all three. The neighborhood has a great website, check it out below!